Living in a big joint family, creating activities from scratch is not something I can take time out for, but this doesn’t take away the need I feel for it. Hence subscription boxes have always appealed me greatly. 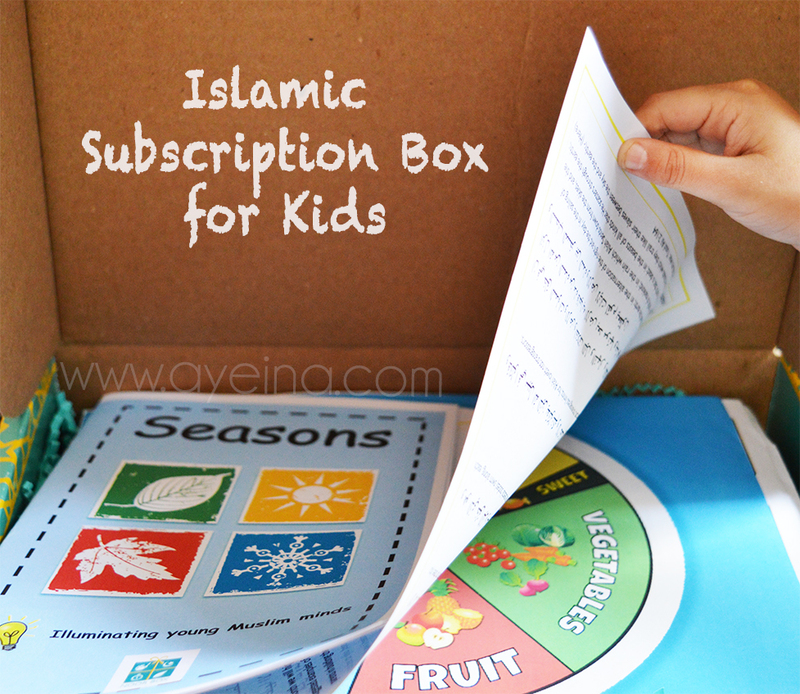 Since we are trying to raise practicing Muslims in a world where it’s not a priority for most, a box catered to Muslim kids was something this world needed. Really bad. Noor box came at the right time for me. No wonder it’s a crowdfunded project. 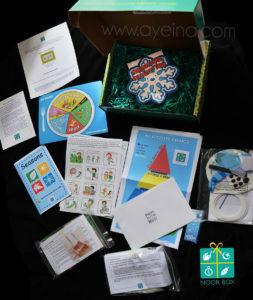 Each box contains a couple of educational and entertaining activities around one theme – each month. Something for you and your kids. We loved it so much that we are now a tiny part of its design team as well. For each box, you will see some design by Ayeina – be it a card, a coloring page or a motivational print. In shaa Allah. The happiness of receiving gifts never gets old and is one of the best tricks to increase love. Having that beautiful gift in the form of a surprise where you are unaware of the wonders waiting inside, makes the joy even double. Every time my 4-year-old talks about this box to anyone, she unintentionally just comes and hugs me. And I love it – How little gestures can bring joy in lives of the little beings. As the box is catered to elder kids, my daughter depended on me for playing with her box. This made me realise how much kids desire activities all day. Hence, It made us spend ample amount of time together even the much I thought I don’t have for her. 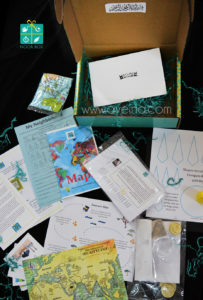 The box had all the materials provided for each activity along with all the instructions. This saved us from procrastinating and it was more fun with more time in our hands than fussing around to find needed materials and sitting on Pinterest with a tilted head. This way I had more fun than my daughter haha. We loved building a snowman in the middle of summer. It was a cold breeze amidst hot waves. I’m not a very TV-friendly mother and this box did wonders for me in this regard. Seeing other kids of the family watch TV as a part of the entertainment, it’s hard to make your little one understand why she can’t watch music-filled un-Islamic cartoons. Noor box was like a magic word to make her jump off of the sofa, Alhamdulillah. At times, even her cousins joined in. And how each kid learned something different from each activity was amazing. It had covered creativity while providing general knowledge and so much more Alhamdulillah. Most activities were not only beneficial for the kid but also beneficial on a larger scale. Like, we built a bird feeder. We built it from ice cream sticks and painted it ourselves before filling it with food and hanging it outside for the birds. Watching the birds then feed on the home you built with your own hands was a beautiful feeling. We also did the virtue activity card that made my daughter collect clothes for the needy etc. It was a perfect way to teach gratitude to her. Something I’m already working on with her. Letting her fill out our gratitude journal. Of course, I write it down but she dictates. In shaa Allah, I’ll share the whole month of her gratitude journaling on Ayeina soon. 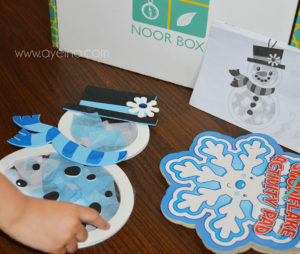 Note: The boxes were sent to us by Noor Box, but that doesn’t affect our honest opinion. Kindly see our disclosure policy. Previous articleHow Did the Ant Speak to Sulaiman (AS)? Nothing like creativity, productivity and fun all in one box. And you are so right, it’s always more fun for us as adults even though the kids may not realise it. I also chose love hands-on activities for the young minds over screen time. 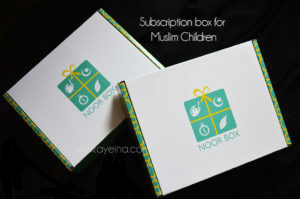 I have my eyes on the Noor box, soon insha Allah. May it be beneficial for you and your young ones as well. Aameen.